PIK3CA belongs to the PI3/PI4-kinase family. It phosphorylates PtdIns, PtdIns4P and PtdIns(4,5)P2 with a preference for PtdIns(4,5)P2. Defects in PIK3CA are associated with colorectal cancer (CRC). 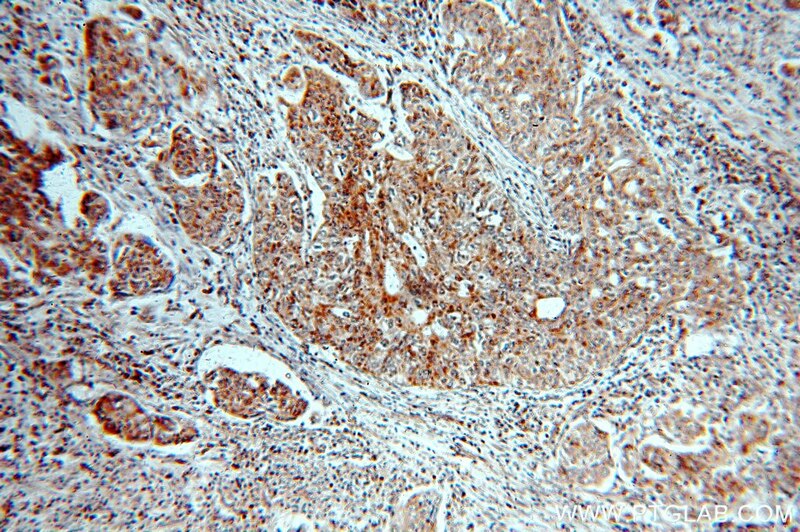 Defects in PIK3CA are associated with breast cancer. Defects in PIK3CA are associated with ovarian cancer. 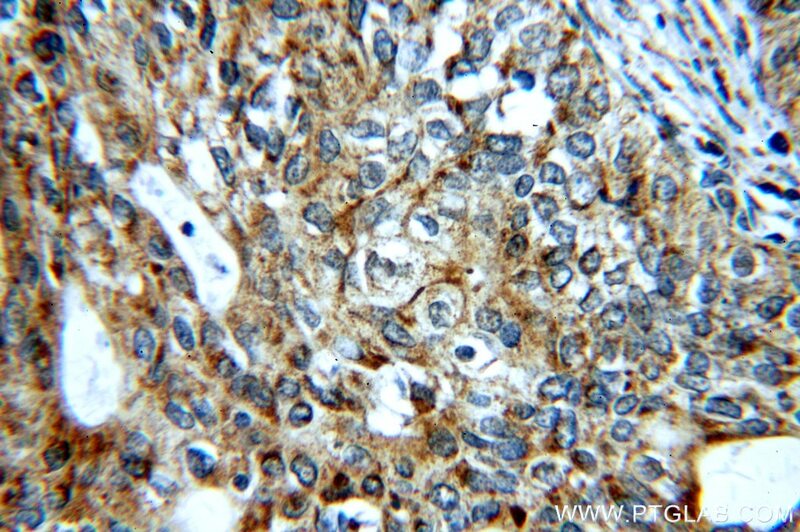 Defects in PIK3CA may underlie hepatocellular carcinoma (HCC). Defects in PIK3CA are a cause of keratosis seborrheic (KERSEB). The antibody is specific to PIK3CA. RACK1 promotes the proliferation, migration and invasion capacity of mouse hepatocellular carcinoma cell line in vitro probably by PI3K/Rac1 signaling pathway. Epithelial but not stromal expression of collagen alpha-1(III) is a diagnostic and prognostic indicator of colorectal carcinoma. Vasculogenic Mimicry in Prostate Cancer: The Roles of EphA2 and PI3K. KIF26B, a novel oncogene, promotes proliferation and metastasis by activating the VEGF pathway in gastric cancer. Mitochondrial DNA content reduction induces aerobic glycolysis and reversible resistance to drug-induced apoptosis in SW480 colorectal cancer cells. Characterization, functional and signaling elucidation of pigeon (Columba livia) interferon-α: Knockdown p53 negatively modulates antiviral response.